The following post is being reprinted with permission by Fox News Boycott dot com. [A] humorous observation made by Mike Godwin in 1990 which has become an Internet adage. It states: “As a Usenet discussion grows longer, the probability of a comparison involving Nazis or Hitler approaches 1.” The term Godwin’s law can also refer to the tradition that whoever makes such a comparison is said to “lose” the debate. It is an ad hominem argument and logical fallacy that is known as Reductio ad Hitlerum, or “reduction or argument to Adolf Hitler or the Nazis,” which is sometimes used to play the “Nazi Card,” analogous to the “Race Card.” Basically, it used like this:“Hitler (or the Nazis) supported X, therefore X must be evil/undesirable/bad.” It is also related to the fallacy of Guilt By Association, another tactic commonly used by Beck. Beck: “I’m not comparing” Obama to Hitler, but asked his audience to “please read Mein Kampf” and learn from Germany’s mistakes. 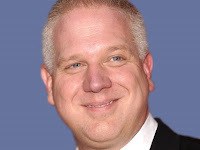 Beck links health care reform to Nazis, suggests reform would kill elderly and newborns. Beck repeatedly compared Gore to a Nazi propagandist. Beck compared Fox News to Jews during Holocaust, other news organizations to silent bystanders. There are plenty of other examples of Beck linking current activities to Nazis shown on the Media Matters website. Following is a chart showing the number of times Beck has brought up various subjects. The United States is under threat from extremely reactionary and violent Islamic terrorists who get mentioned by Glenn Beck less than 3% of the time than the now defunct ACORN, an American, urban, anti-poverty group. Beck doesn't just lose arguments (according to Godwin's Law), he has severely misplaced priorities.